View of the Rim Trail along the amphitheater of Bryce Canyon. 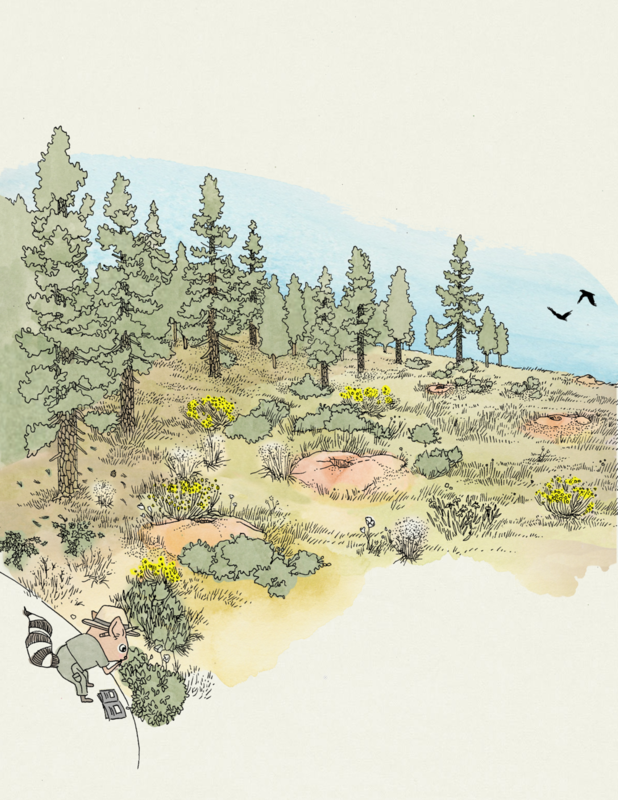 Randi Ringtail identifies plants of Bryce Canyon National Park. The main character of the Bryce Canyon Junior Ranger workbook. Getting to know the plants of the park.